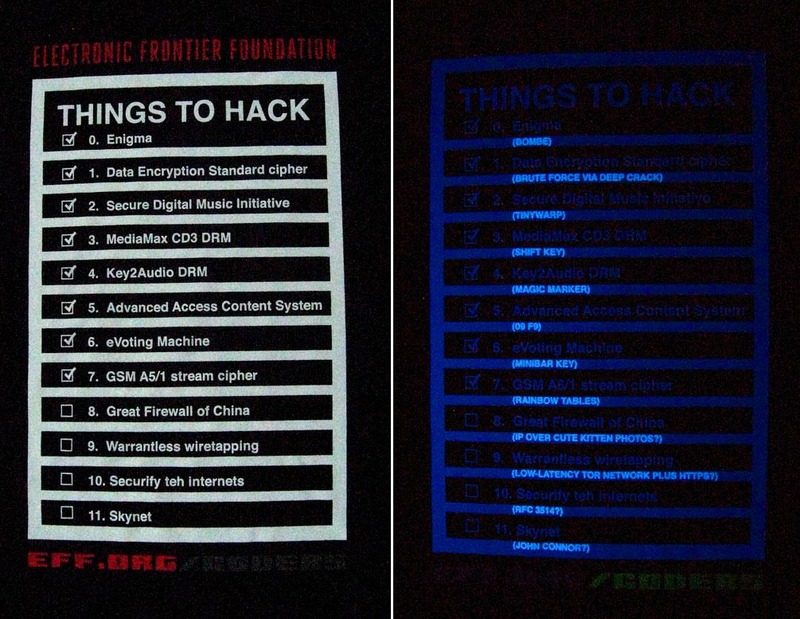 EFF's Encryption T-Shirt Puzzle - Solved! But there's more to the puzzle. Some of the zeroes and ones in the binary block glow in the dark. Converting only the glowing digits to ASCII spells out "d[EFF]con" in recognition of our ongoing work with the community. Note also that the key and red box are surrounded by black ciphertext symmetrically encrypted using GnuPG. 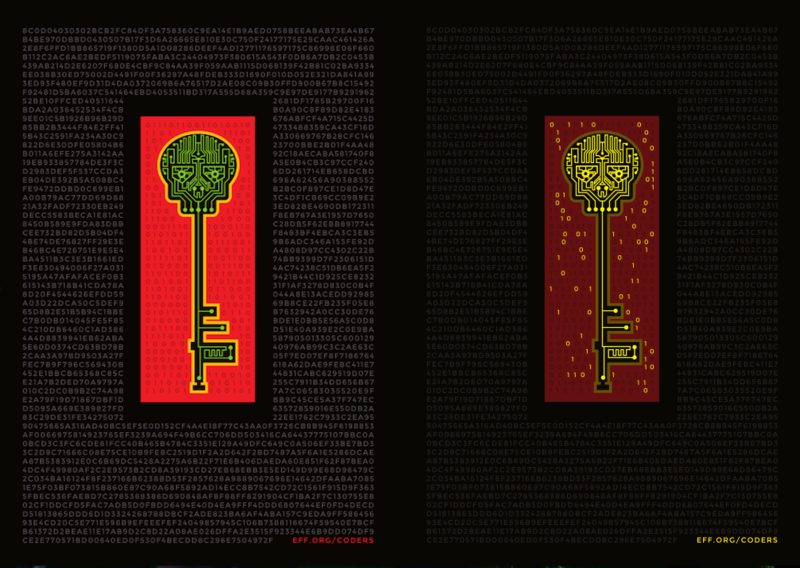 Using the passphrase "d[EFF]con" decrypts the ciphertext to reveal the entire US Bill of Rights! The first 10 people who solved our puzzle have been notified and will receive a beautiful, limited-edition 18" x 24" silkscreen print of the Bill of Rights design, signed & numbered by the artists! 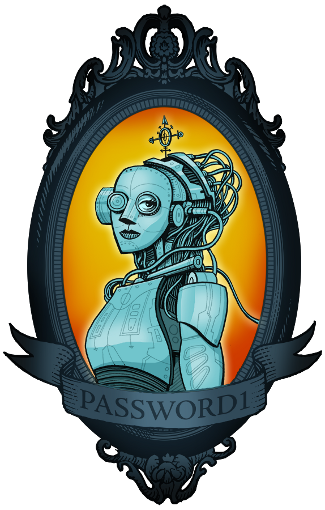 EFF works dilligently to protect the innovative spirit of coders, hackers, and reverse engineers every day. Thank you to all of the people who have joined the movement to protect digital freedom and fight for a better future.